Less Cancer Founder Bill Couzens acknowledges the Junior class of Foxcroft School of Middleburg, Virginia for their leadership in raising awareness for prevention. Bill Couzens Founder of the Less Cancer Campaign today said that he honors the work the Junior Class of Foxcroft School, Middleburg, Virginia is doing for Less Cancer. Foxcroft School Walk-A-Thon Benefiting Less Cancer is Friday, March 30. Walkers, runners and cyclists are welcome to join the five-mile trek, which starts at Brick House on the campus of the Middleburg, Virginia school at 3:30 p.m. Participants are asked to wear green the Less Cancer color for prevention. Foxcroft School’s Junior Class invites area residents to join them in making a difference in our world by supporting the Foxcroft Walkathon to benefit the Less Cancer campaign, a program of the Next Generation Choices Foundation. Less Cancer Founder Bill Couzens asks that people help support these student leaders-help Less Cancer. Individuals may also sponsor participants or make a donation. Tax-deductible contributions of any size are appreciated and may be mailed to Junior Class Walkathon 2012; Foxcroft School; P.O. Box 5555; 22407 Foxhound Lane; Middleburg, VA 20118. They may also be given to members of the Class of 2012. Please make checks out to the Foxcroft School Walkathon. The Foxcroft Walkathon is organized each year by the School’s Junior Class, which researches and chooses a beneficiary, elicits sponsorships from local businesses, families and friends, and conducts the walk, with help from faculty sponsors. Bill Couzens, who originally hails from Detroit, Michigan is a graduate of Wayne State University and the Founder and President of the nonprofit Next Generation Choices Foundation and the widely known Less Cancer Campaign. The Campaign has worked to raise awareness for the reduction of cancer risks. Founded in 2004, Next Generation Choices Foundation partners with communities to create and dispense educational tools that focus on environmental health advocacy and lifestyle choices. Since its inception the organization has been focused on having prevention be part of the cancer conversation with a focus on decreasing the rising incidences of this terrible disease. The public charity was formed in response to the escalating cases of cancer and the lack of education and knowledge about potential causes. 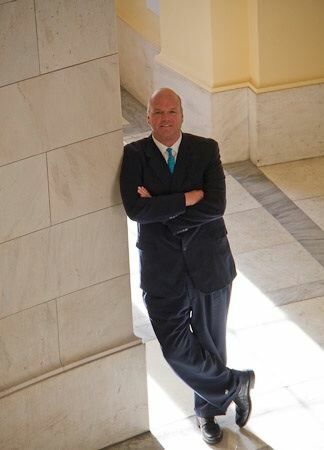 Couzens has been recognized by Congress in addition to the Commonwealth of Virginia for his work in initiating and creating best practices to reduce pesticide drift in health effected communities such as schools. Couzens has been published in a number of periodicals and has been a speaker on the topic of reducing harmful environmental exposures linked to cancer. Couzens regularly speaks on human health and environment issues. Next Generation Choices Foundation Board is Chaired By Thomas M. Sherman, MD, and Board Members include Bill Couzens, Greg Lam, Ronald B. Herberman MD, Veronique Pittman, Maryann Donovan PhD, MPH, Science Reporter Miles O'Brien, John Couzens, Stormy Stokes Hood. The 38 members of this year’s Junior Class chose to benefit the Less Cancer campaign of the Next Generation Choices Foundation because virtually all members of the Foxcroft community and their families have been directly affected by this disease in one of its many forms. The Less Cancer campaign educates and provides information centered on evidence- based science for reducing health and environmental risks associated with cancer. Less Cancer has followers on Twitter and Facebook in over twenty-five countries. Foxcroft School Founded in 1914, Foxcroft is a college-preparatory boarding and day school grades 9-12. It’s innovative curriculum offers 80 courses, including 12 APs, and nine interscholastic sports, one of which is a nationally-renown riding program. The 2011-12 student body is comprised of 154 girls from 20 states, eight countries and the District of Columbia. The Class of 2011 was offered 179 acceptances and $925,000 in merit scholarship by 121 colleges including Cornell, Duke, Emory, Georgetown, William & Mary and the universities of California at Berkeley, Michigan, Pennsylvania, and Virginia.